Ok, show of hands - who hasn't been on a conference call or talking with a spouse, family or friends, and they heard you pecking away at the keyboard? [crickets in background...] Ok, even if they didn't say anything, I'm sure there have been occasions where you are on the phone and you were also checking email, surfing the web, etc. and the other party knew you weren't giving your undivided attention. This can be dangerous from a personal perspective (See: Wife's dog house) but also a business one. You don't want to appear you aren't paying attention to the business client. So I was intrigued to learn about SoliCall's PBXMate, "an innovative and breakthrough technology that will reduce background noise in VoIP networks supporting SIP." PBXMate will help you cut down on having that extra noise transmitted during your business calls. 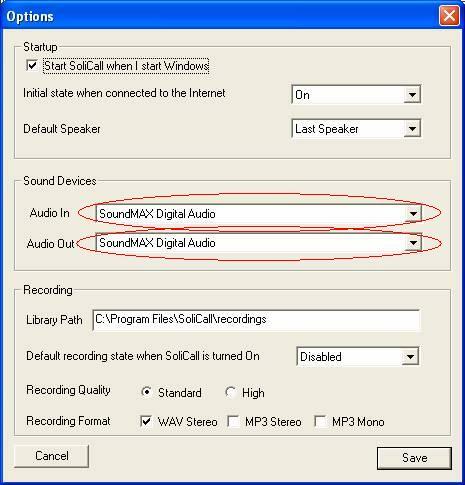 SoliCall claims it can reduce background noise (including keystrokes) and improves voice clarity. Of course, this is VoIP only, regular analog phones need not apply. SoliCall explained, "When was the last time you were able to conduct a conference call without suffering from the annoying street noises, generated by at least one of the participants in that call? Or those low-quality incoming calls from cell phones?" SoliCall's PBXMate can work with any VoIP network that supports SIP and it runs on Linux & Windows. It sounds like SoliCall PBXMate might sit on the network itself, capture the SIP and RTP streams and then perform some audio optimizations. Considering the real-time nature of VoIP, I'm not sure that's feasible. It would also have to intercept the packets ("man in the middle") before forwarding them on, which is a security no-no. Maybe it front-ends the outbound Internet gateway/router in which case it could inject its sound improving algorithms before passing the packets onto the Internet router? Anyway, I'm pretty busy or I'd look into this further. If I find out more, I'll update this post. \nSo I was intrigued to learn about SoliCall's PBXMate, "an innovative and breakthrough technology that will reduce background noise in VoIP networks supporting SIP." PBXMate will help you cut down on having that extra noise transmitted during your business calls. SoliCall claims it can reduce background noise (including keystrokes) and improves voice clarity. Of course, this is VoIP only, regular analog phones need not apply. \nSoliCall explained, "When was the last time you were able to conduct a conference call without suffering from the annoying street noises, generated by at least one of the participants in that call? Or those low-quality incoming calls from cell phones?" \nSoliCall's PBXMate can work with any VoIP network that supports SIP and it runs on Linux & Windows. \nIt sounds like SoliCall PBXMate might sit on the network itself, capture the SIP and RTP streams and then perform some audio optimizations. Considering the real-time nature of VoIP, I'm not sure that's feasible. It would also have to intercept the packets ("man in the middle") before forwarding them on, which is a security no-no. Maybe it front-ends the outbound Internet gateway/router in which case it could inject its sound improving algorithms before passing the packets onto the Internet router? \nAnyway, I'm pretty busy or I'd look into this further. If I find out more, I'll update this post.